At present it’s a requirement that all ISPs must be members of an ADR scheme (i.e. CISAS or Ombudsman Services). 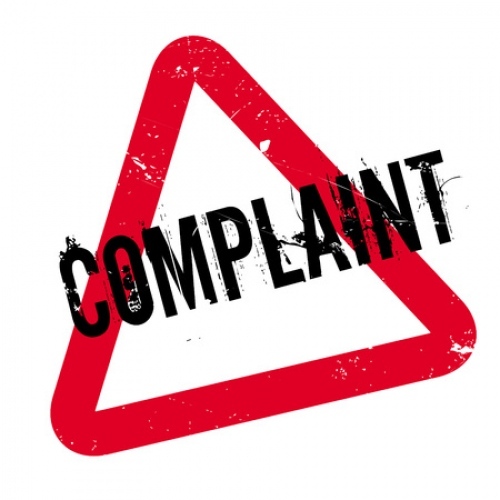 The schemes are free for consumers to access and designed to supplement (not replace) an ISPs own internal complaints procedure(s), although they are usually only used after a dispute has gone unresolved for 8 weeks (see our ISP Complaints and Advice section). Generally speaking Ofcom’s review found that the ADR system does a good job for consumers and they were “satisfied” that both schemes still met the required performance criteria. However some ISPs, particularly smaller providers, remain unhappy with the ADR system because they can be forced to pay hundreds of pounds in fees, often even when a customer’s dispute is rejected by the ombudsman (example). Smaller ISPs naturally lack the same protection through economics of scale as the bigger boys, although they do often make up for this by focusing more on service quality and that tends to limit the number of ADRs they receive. Nevertheless so-called “vexatious” consumer complaints can still be a problem area. In that sense it’s difficult to know whether any of Ofcom’s proposed changes to the schemes (these mostly represent minor tweaks) will have much of an impact upon the above problem or improve the experience for consumers. However, the regulator and ADRs do intend to take part in further work, which will for example look at whether decisions to accept or reject cases are appropriate and examine the awarded compensation amounts etc. • Take part in a further study regarding whether decisions to accept or reject cases are appropriate. • OS will report an additional performance measure on the number of cases completed 90 days after receipt of a complete case file (reflecting the requirements set out in the ADR Regulations). • Publish an annual report summarising the IA’s/IR’s findings over the previous year, and if they do not adopt the IA’s/IR’s recommendations in a specific case, explain to both the complainant and the IA/IR why. 4.9 In addition to these measures the Schemes’ performance against their formal KPIs will be published on the Ofcom website on a quarterly basis. 4.10 We will continue to monitor the Schemes’ performance and their progress against making the changes they have committed to in the coming months. 4.11 We note that we can re-open the issue of approval at any time should recommendations not be implemented in a timely manner and evidence emerge of a Scheme falling short of our approval criteria. Anybody who has had to deal with consumer complaints knows just how difficult and time consuming it can be to get to the bottom of a particular issue, which tends to apply just as much to consumers’ as it does to ADR providers (this is well illustrated by the Mott MacDonald review that accompanies today’s report). In that sense ADR firms have a frighteningly difficult and time consuming job to do. On top of that it’s important to remember that the ADR process exists because some companies simply don’t play fair with their customers and a few get it wrong more often than others. On the whole they are a good thing but that’s not to say that the system wouldn’t benefit from some improvement. Broadband provision in particular is a technically complex beast with many points of potential failure, including inside the customers own home (identifying who is to blame isn’t always simple). Likewise ISPs often still have to foot the bill for mistakes or faults caused by their suppliers (e.g. Openreach, TalkTalk Wholesale), although some would consider this to be a cost of doing business. Telecoms and internet providers might not like ADRs but then few consumers enjoy the stress of having to take their complaint that far in the first place. The UK Internet Service Providers’ Association (ISPA) has offered some useful feedback. “ISPA supports alternative dispute resolution (ADR) as a free and easy-to-use way for consumers and business to resolve disputes. We provide free ADR as a benefit of membership and work with our members to identify practical issues with the schemes and come up with improvements and solutions. We regularly facilitate workshops between our members and ADR providers to work through points and trends our members may encounter. As part of our code of practice, ISPA operates a complaints service that provides consumers with the ability to complain to their provider via ISPA, once they have exhausted the internal procedures and before a complaint reaches ADR. We encourage members of the public to make use of this service and note that sites like ISPreview helpfully provide some further information to consumers about this additional protection. In our response to the five-yearly Ofcom review, we included several examples of cases that demonstrated problems with the process and a number of recommendations to help improve the system. While not all of these suggestions were accepted, we are pleased that Ofcom has agreed to look further into some of the trends our members have identified, including research into whether appropriate decision are being made, publishing more robust data and a sample case review of potential out of scope cases to see if there are any underlying issues that need to be addressed. Just as a quick reminder, these are some of the issues that the ISPA raised at the start of Ofcom’s review. Hi Mark, it would be good if you could ask the ISPA response to this and whether they have any proactive teams looking into the history of disputes and whether anything could be improved within the industry to avoid the disputes in the first place and in turn save their members time and money. Disputes are neither good for their members or the public image it gives the ISP industry. This is what some other industry representative bodies do like The Law Society (http://www.lawsociety.org.uk/about-us/). Cool – well done Mark. Anyone working for ISPs, the next time you have any involvement with complaints it would be great if you could start thinking of ways the ISPA could help reduce them, for example line speed is a well known contentious issue with consumers but there is no industry standard way of measuring it so the ISPA can help by coming up with an industry standard line speed measuring solution. Think of the many hours your colleagues over multiple teams would save by consumers mistakenly thinking their line speed is underperforming, and then think of all the other ISPs wasting the same time on the same issue, and all the enormous costs to each ISP and to the industry. Team meetings are a great starting point for these discussions. 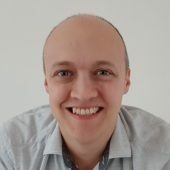 Quoting from the ISPA’s website, to promote “positive development of the Internet industry” (https://www.ispa.org.uk/about-us/ispas-industry-role/) reducing complaints is positive development.